The mission of the Santa Barbara County Sheriff’s Media Team is to connect with and engage as many of our citizens as possible by providing a wide variety of content on our social media platforms to inform citizens about all that is being done to protect their safety, what they can do to protect their safety, to increase public trust and promote a spirit of collaboration and partnership. 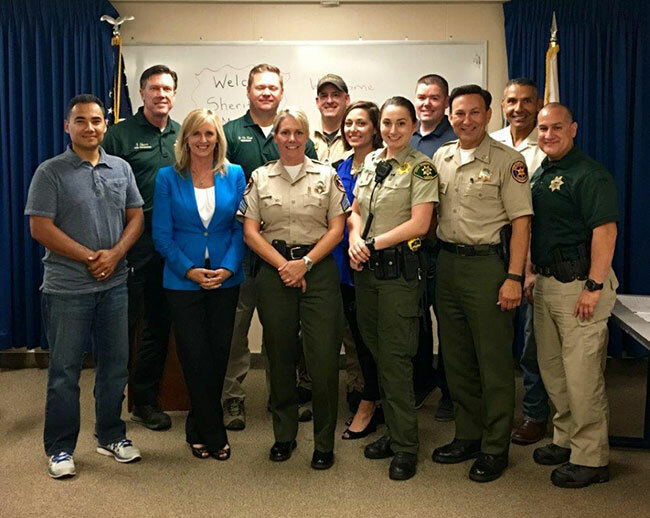 The Sheriff’s Media Team is made up of collaterally assigned Sheriff’s employees from throughout the County who work together to provide a wide variety of content for our social media platforms of Facebook, Instagram, Nixle, and Twitter. The Sheriff’s Media Team was created in 2016 and is constantly evolving and growing. We are excited to see the increase in our followers on Facebook, Twitter, Instagram and Nixle.. We are thrilled for the opportunity to show you all that goes on at the Sheriff’s Office and encourage you to engage with us via our social media platforms and sign up for our Nixle alerts. Thank you for your support of the Sheriff’s Office.